Facebook introduced a new tool for advertisers this week that promises to give them even greater control over which audiences they reach on the site. 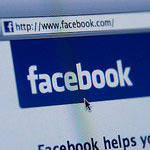 The “custom audiences” tool will allow websites to gather information from visitors to their website, and then use that information to target advertising in Facebook on both mobile and desktop platforms, though the feature was designed specifically to track the data and browsing habits of mobile users. While Facebook is providing users with an opt-out option for the custom audiences tool (on an case by case basis), it’s clear that the off-Facebook web experience of users is rapidly becoming intertwined with the social media giant. Facebook has said that it will not disclose any of its users’ personal information to advertisers, though your data, browsing habits and interests could be tracked nonetheless. Even if you don’t have a Facebook window open, your web browsing experience is becoming intrinsically tied to the site, for better or worse.